Last week, we got to celebrate Christmas a little early thanks to Spinneys. 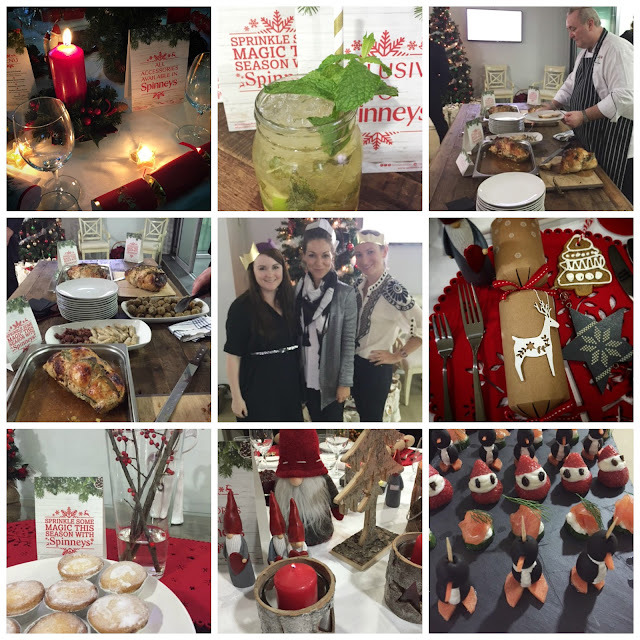 We gathered around a lovely home made Christmas diner prepared by exclusive Spinneys Chef Mark. It was a mouth-wateringly delicious pre-xmas diner with all the trimmings. A real treat! The evening also included some demonstrations to teach us the tricks behind Christmas cooking and loads of handy Christmas preparation tips. The festive season is fast approaching and Spinneys is here to help spread a little magic. With aisles packed with delicious goodies from perfectly pre-prepared turkey dishes through to succulent, easy-to-cook sides, and a range of luxury gifts to suit the whole family, all you need to worry about is which Christmas classic to watch first! Spinners offers a fantastic selection of gourmet items to make your Christmas in the kitchen so much easier and so delicious. Spoiled for choice with , beautiful range of turkeys, including Irish, organic Tegel or a whole turkey crown with fresh maple and chestnut chicken stuffing and smoked turkey bacon. Meat lovers will delight in the Welsh lamb rack, tender Wagyu beef sirloin or the festively fresh rolled lamb with figgy pudding stuffing. Beef, dripping with horseradish and chive butter, is sure to be a stand-out festive favourite. 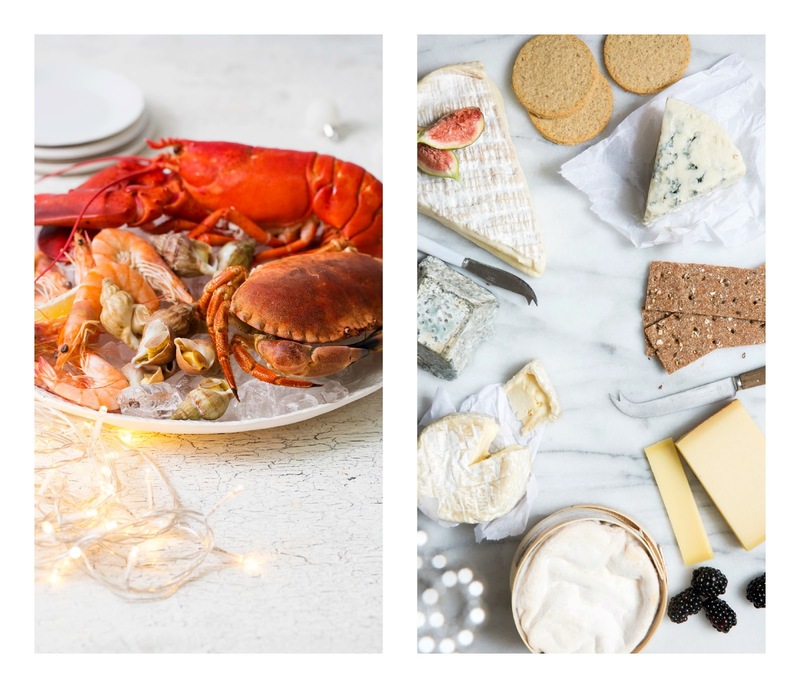 For those looking for lighter Christmas dinner options, Spinneys has sourced only the best and freshest seafood and offers a contemporary impressive seafood platter and exquisite caviar on blinis and crostini for that extra splash of luxury. Rounding off a magical meal, Spinneys offers a platter of only the best and most luxurious cheeses, including Brie de Meaux, Cashel Blue and Sartori. Desert includes tarts, pies and puddings. Spinneys customers can order their Christmas menus in store until 19 December. It doesn’t stop at food as Spinneys also presents a range of magical luxury Christmas gifts, guaranteed to make the whole family smile, from stuffed reindeers to crackers there is something for everyone. 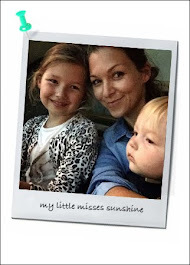 COMPETITION - YOUR CHANCE TO WIN!!! To help spread a little magic this festive season, we have teamed up with the UAE’s favourite supermarket, Spinneys and are giving away AED 500 Spinneys vouchers to one lucky winner. The talented chefs at Spinneys have been preparing mouth-wateringly delicious Christmas dishes, which are now ready to order in store. 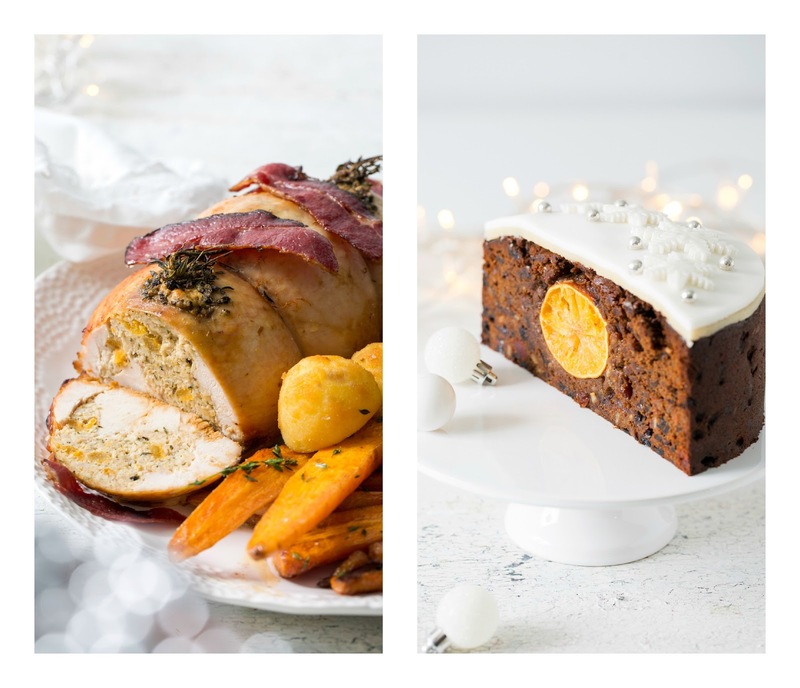 From ready-to-cook Christmas turkeys to a special limited edition Christmas cake containing a whole candied orange, Spinneys has your Christmas covered! Q. What fruit is hidden inside the Spinneys limited edition Christmas Cake? Good luck! Winner will be announced on Sunday December 6th via Facebook.